How is solar more cost effective than diesel powered light tower? The initial price might be cheaper for a diesel light tower but Solight’s solar light trailers are 100% renewable. This means there is no need for regular maintenance or constant refueling. What does the term renewable energy mean? Renewable energy is generally defined as energy that is collected from resources that are naturally replenished, such as sunlight, wind, rain, tides, waves, and geothermal heat. Solight’s towers are 100% renewable energy. Does this solar light tower generate enough power for the lights to shine through the night? Yes, the lights will shine through the night. With a full charge some of Solight’s units can last up to three nights without a recharge. Do solar panels still work in cold weather? Yes, solar panels still work in cold weather, Solight’s light towers actually preform better in colder temperatures. How much noise does a solar trailer make? Our solar units make no noise and also emit no fumes. How much maintenance is needed for a solar trailer in a year? 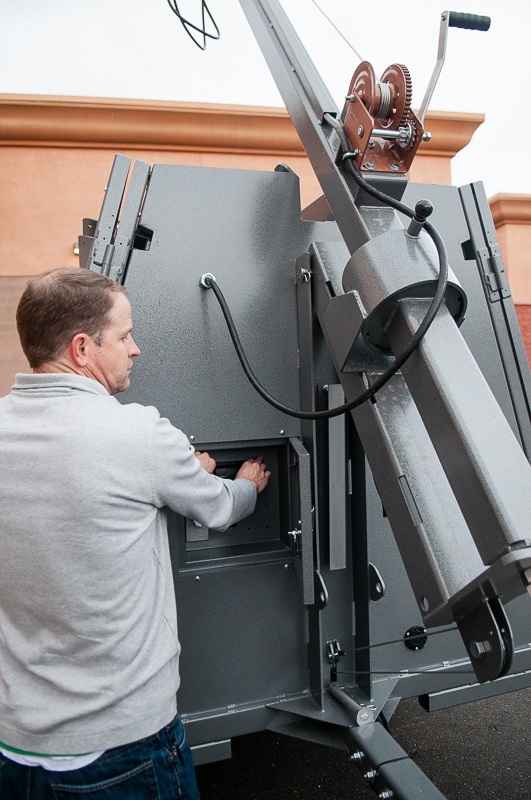 There is virtually no maintenance required for Solight’s solar light towers. There is no refueling, oil changes or engine failures. To maximize sunlight intake and to extend life of the unit periodically check the wires and batteries and keep the solar panels clean. How long it takes to charge the batteries depends on many different variables and also which unit but on average it takes abut 4 to 6 hours of direct sunlight to fully charge the batteries. Will solar panels still charge the batteries during a rainy or cloudy day? Yes, the solar panels will charge even during a cloudy day, but they will charge at a reduced rate. If I know nothing about solar energy can I still run Solight’s solar trailers? 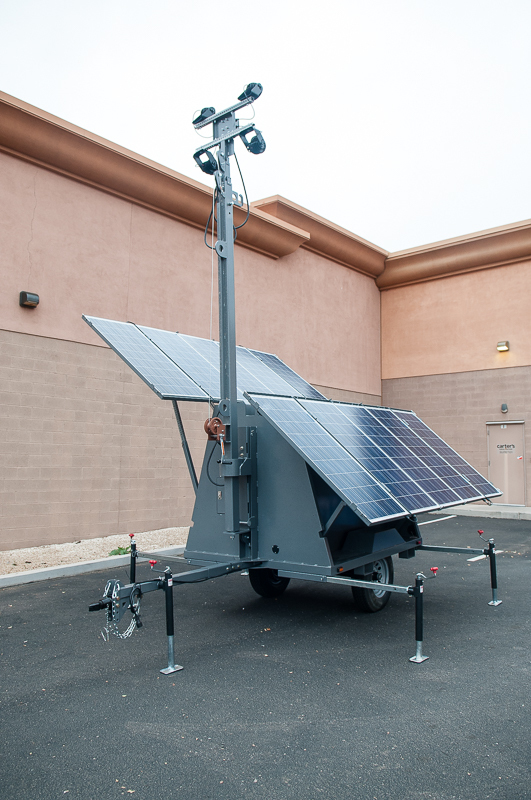 Yes, Solight’s solar light towers are made to be so simple anyone could use one. There is no training needed, its as easy as flipping on a switch. How often do I have to replace the batteries? There are different factors and variables that go into the life of your batteries, on average the batteries will last 3 to 4 years up to 10 years without any problems. How do I set up my solar light tower to get the most sun? To get the most sunlight absorption and to maximize the energy intake, make sure the panels are completely deployed and the solar panels are facing south. Also make sure there is no obstruction of direct sunlight; even the smallest tree branch can significantly diminish the charge. How long do the lights last before I have to replace them? Our state of the art LED floodlights have a life long warranty. If there are any problems with your light please contact Solight and they will make sure to get you new lights. Why are LED lights used? LED lights are used because they use much less electricity to put out light. Making them much more efficient. The lower usage of electricity allows longer and brighter use generated by solar power.